Mercedes C180 enters the Small Luxury Cars Comparison: Will the Stuttgart-Star outshine the BMW 316i, Volvo S60, Volkswagen Passat, VW CC, Audi A4 and Audi A5? 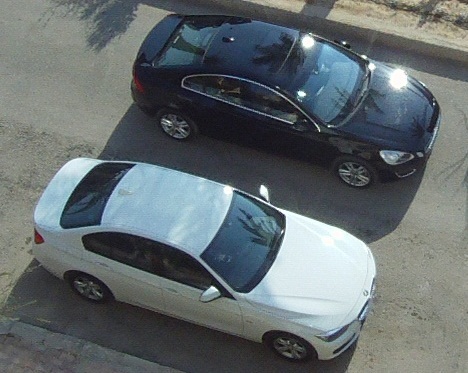 Today the Made-In-Germany Mercedes C180 entered the ring of the biggest-ever comparison test in Egypt, in order to prove itself against the other competitors in the so-called ‘Small Luxury Car’ segment in Egypt, namely the BMW 316i, Volvo S60, Volkswagen Passat, Volkswagen CC, Audi A4 and Audi A5. So, will the Stuttgart-Star be able to outshine the other very strong competitors from Germany and Sweden? This is what we will find out in a few days. But the first impression of the C180 as well as the impression on how professional the current Mercedes Benz Marketing and Communication is handling such media request is not only very promising and very proficient, but it is coming very very close to how the Communication and PR department is handling the media requests. This is currently by far one of the best and most professional PR & Communication teams in the automotive sector in Egypt. 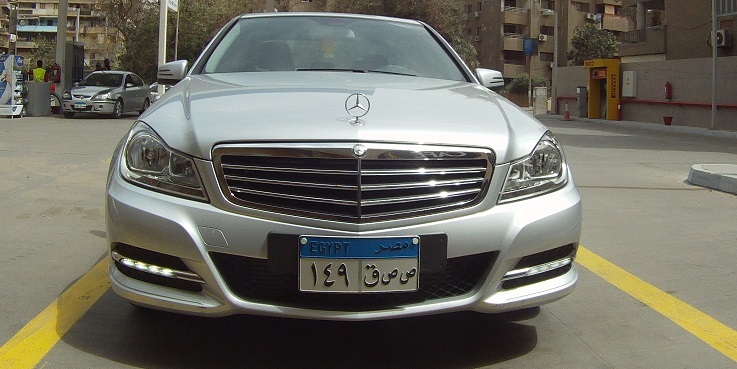 The Mercedes C180 sedan, currently starts at 324.000 LE, while the three C180 Coupe models are available at 398.000 LE (C200), 458.000 LE (C250) and 422.000 LE (C350). 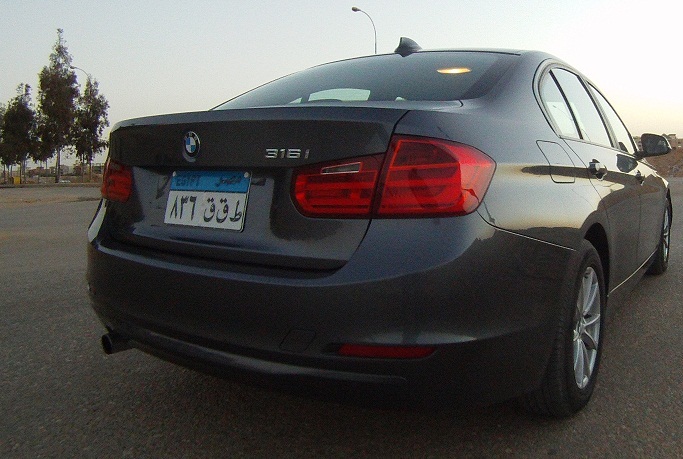 We had received from Bavarian Auto Group, the official importer of BMW and MINI in Egypt, one of the first registered BMW 316i test-cars in Egypt, a BMW 316i Sport in the beautiful and trendy white color, as well as the base-line BMW 316i Premium for the same series of test-drives and comparison tests. the other two BMW 316i versions, namely the Exclusive Edition and Luxury edition, in order to be able to compare them with the other competitors from Volvo, Mercedes, Volkswagen and Audi. 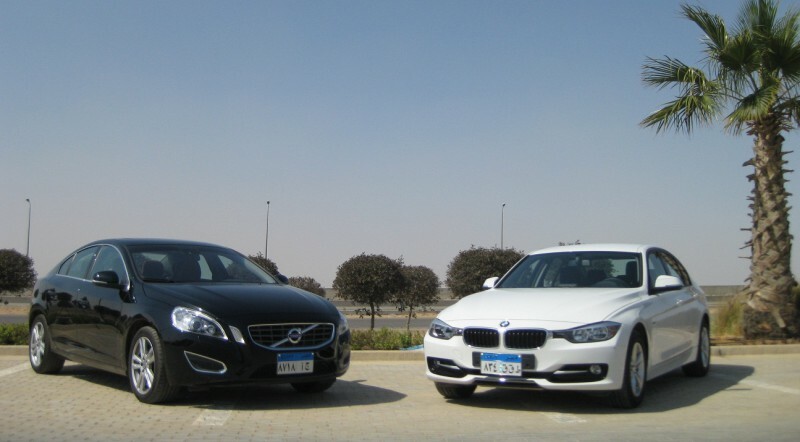 The Made-in-Germany BMW 316i prices starts from 279.000 to 299.000 LE for the Egyptian market, while the Swedish Made-in-Goteborg Volvo S60 is available in two version for 278.000 LE and 308.000 LE. The Volkswagen Passat is available in two versions, the first one for 245.000LE and the second version for 295.000LE, while the VW CC is available at 335.000 LE and 345.000 LE. Last but definitely not least, the Audi A4 is price-tagged at 425.000 LE while the very elegant-looking Audi A5 also has a price-tag of 425.000 LE. Unfortunately those prices can change every day and every week by the importers like it happened over the past few weeks, due to the daily changes of the US-Dollar exchange rate in Egypt and the political situation in Egypt. Stay tuned for a comprehensive review and evaluation during the next few days, here on autoarabia.org and on our Auto Arabia Facebook Group.